After you’ve build your hackAIR sensor, you’ll need a case to protect it from the elements. You can use one of the options below, or come up with your own design. The sky is the limit! When you pick a case, pay attention to the guidelines below to ensure proper functioning of the sensor. These are the pipes that the German air quality network luftdaten.info uses for their sensors. See how it works: in this video tutorial. This is an easy, quick and sustainable way to build your sensor case – upcycling a PET bottle! 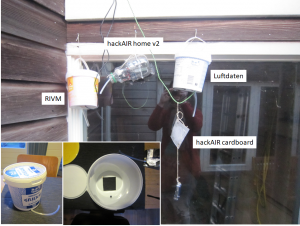 Hester Volten, scientist air quality at the National Institute of Public Health and the Environment (RIVM) in the Netherlands and member of hackAIR advisory board, shows in this video how a PET bottle can be used as sensor case. 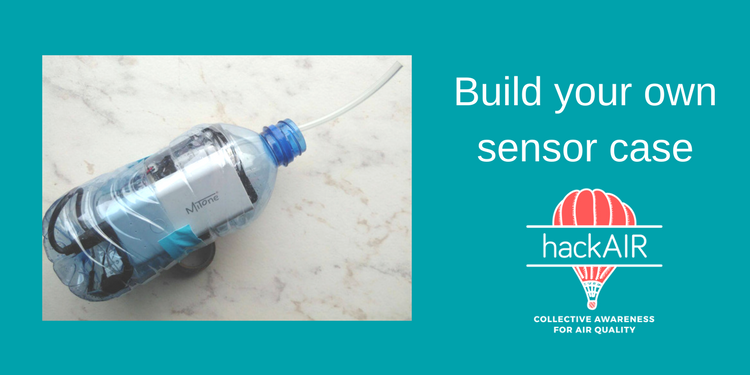 hackAIR consortium partner BUND created a tutorial for building your own sensor case from a PET bottle. 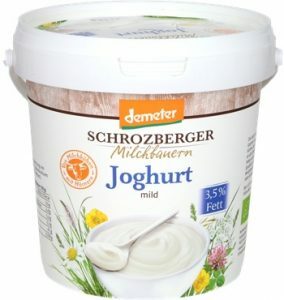 “The RIVM sensor and the luftdaten sensor use the same casing: a yoghurt container (1000 g, available in supermarkets). I simply cut a large hole into the bottom (see inset). The lid makes it easy to insert the electronics. The bucket strap is perfect for hanging! 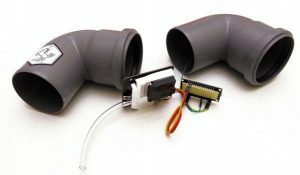 This video tutorial shows you how to build your sensor case from a yoghurt bucket (as shown on the right). Let us know whether you can find these buckets in your country! We know they are available in Germany, the Netherlands, Belgium, Austria, Switzerland. Where else? 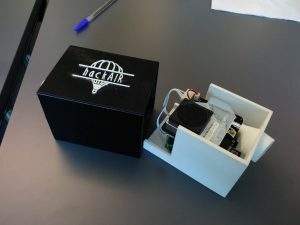 The Norwegian hackAIR consortium partner NILU (Norwegian Institute for Air Research) printed a 3D case for the sensor. In the Maker Community, you will find many ideas and suggestions for 3D printing for cases and mounts. 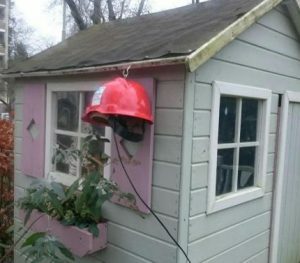 Have a look at Thingiverse! We are very curious to see your creative ideas for sensor cases. Here are resources for inspiration. We will share your pictures with the hackAIR community!